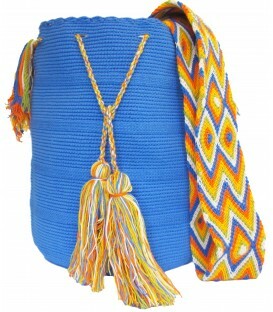 Wayuu Handmade Shoulderbag , handwoven by the indigenous wayuu people of Colombia.All mochilas are cotton crochet bags woven in 2 thread cotton fibres. 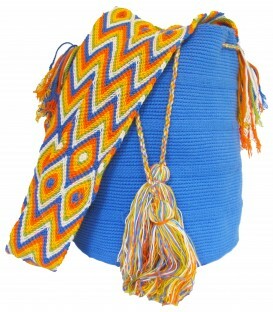 These crochet crafts stand out by their bright colors and design with other indigenous bags of Colombia. Light Blue Colors Plain Crochet Wayuu Pattern Mochila Bag Wayuu Handmade Shoulderbag , handwoven by the indigenous wayuu people of Colombia.All mochilas are cotton crochet bags woven in 2 thread cotton fibres. 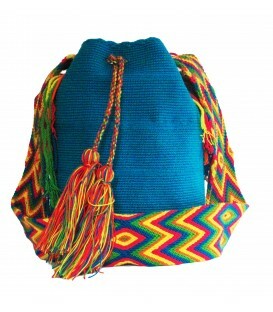 These crochet crafts stand out by their bright colors and design with other indigenous bags of Colombia.